February 20, 2018 - Our new “Golden Renaissance” campaign dives into the exquisite Renaissance era. Just like the painter Cranach who drew upon the sensuality of transparent and colorful veils we invite you to discover an evanescent, captivating, and timeless world. 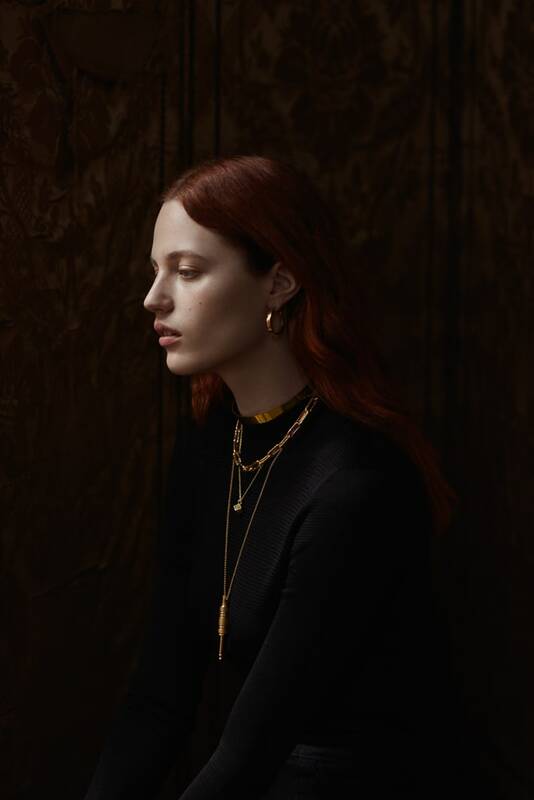 Adorned with beautiful 24 karat gold Menē jewelry, the divine red-haired Julia, distant from the clamor and agitation of modern life, explores the power and radiance of pure gold contrasting with her porcelain complexion in a sumptuous home in which she has taken refuge.